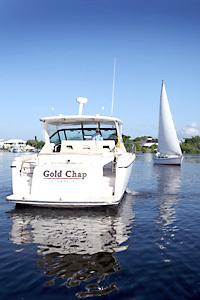 We will design boating education tailored to meet your special needs. Chapman School of Seamanship has professional maritime instructors ready to show you the ropes – or the helm as the case may be. Our instructors personalize lesson plans to meet your learning objectives and busy schedule. One-on one or small groups. In the classroom or at the helm. Power or sail, your vessel or ours. The Chapman School accepts Discover, Visa, or Master Card. Tuition Rates for classroom, on your vessel or ours – As indicated below, hourly rates are per person. The fee for each program includes a two hundred dollar ($200) non-refundable tuition deposit. Campus housing is available to the students for the night preceding the start of a course through the night following its completion, on a space available basis. Campus housing consists of dormitory apartments. Each unit contains a bedroom, convertible living room/bedroom, bath, kitchenette and a covered porch. The number of students per unit during this program is a maximum of three. All units are air-conditioned, fully furnished and equipped with refrigerator, counter top range and cooking utensils. Housing is offered on a space available basis. The School is not responsible for the loss of any personal property. Sorry, no pets. Payment for onshore housing must accompany the Registration Form. Should the student be unable to attend the program in which he or she is registered, the housing fee is refundable. A Chapman School certificate of completion is awarded to students who complete the course. 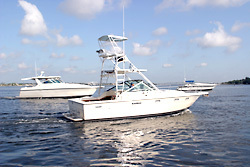 These certificates may qualify a boat owner for marine insurance discounts.